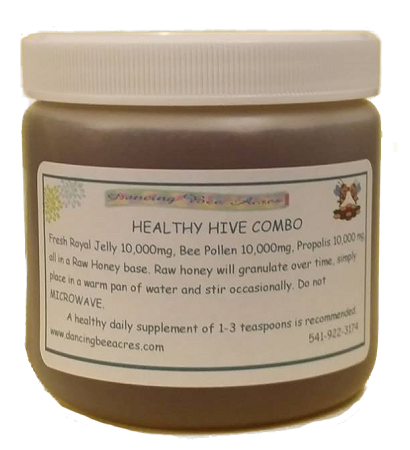 Fresh Royal Jelly 10,000mg, Bee Pollen 10,000mg, Propolis 10,000 mg. all in a Raw Honey base. Have it all in 1-3 teaspoons a day! So much more pleasant than taking a hand full of pills. Eat it straight or spread it on toast! The all-natural way to great health. 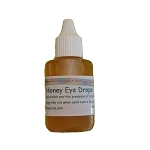 You can now choose if you would like the added benefits of Echinacea 500mg, Ginseng 500mg or Gingko Biloba 500mg. Just choose the option or options you want. Convenient 1lb (16oz) Tub, easy open, no refrigeration required. I like the dark color of this honey which indicates to me the amount of healthy bee products it contains. It tastes great and supplies a nice boost of energy. My husband loves it! Ive been using this product for a time now and love it. When you get to my age getting up every morning is a struggle. But I believe this is one of the reasons that when I get up, I don't feel bad at all.